Today is the first in a five-week series of podcast episodes I will be doing. Each episode will be centered around a different way you can become more spiritually minded. Today’s episode gives you an introduction to the series. 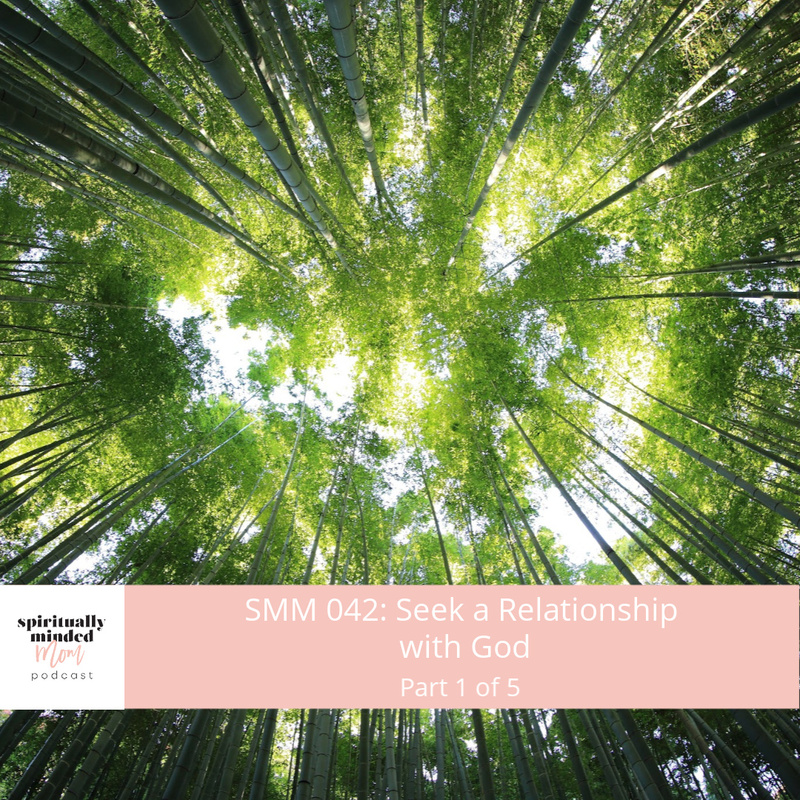 I also dive in to the first topic: seek a relationship with God. How does God communicate with me? How do I build a closer relationship with God? How do I know when I’m being led by the spirit? What if I’m doing everything I can and I still don’t feel God in my life? Each episode has a printable to help you to ponder and act on the weekly topic. You can download the printable HERE. The download is one document that includes all the printables for the 5 weeks. Each of the topics is based on a portion of this quote from President Russell M. Nelson’s talk in April 2018, Revelation for the Church, Revelation for Our Lives. Pray in the name of Jesus Christ about your concerns, your fears, your weaknesses—yes, the very longings of your heart. And then listen! Write the thoughts that come to your mind. Record your feelings and follow through with actions that you are prompted to take. As you repeat this process day after day, month after month, year after year, you will grow into the principle of revelation. Does God really want to speak to you? Yes! Pray in the name of Jesus Christ about your concerns, your fears, your weaknesses—yes, the very longings of your heart. And then listen! 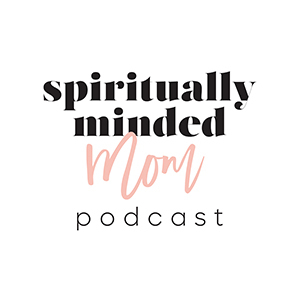 You’ll hear my experiences with learning to listen to God, a short clip from a previous guest, Brooke Snow, sharing how she has learned to reimagine prayer and my thoughts on writing prayers as a way to communicate more fully with God. I hope you will follow along for this five episode series. Overall, I hope you will learn how God speaks to you and how you can have a deeper relationship with Him. Download the printables for each episode by going HERE. 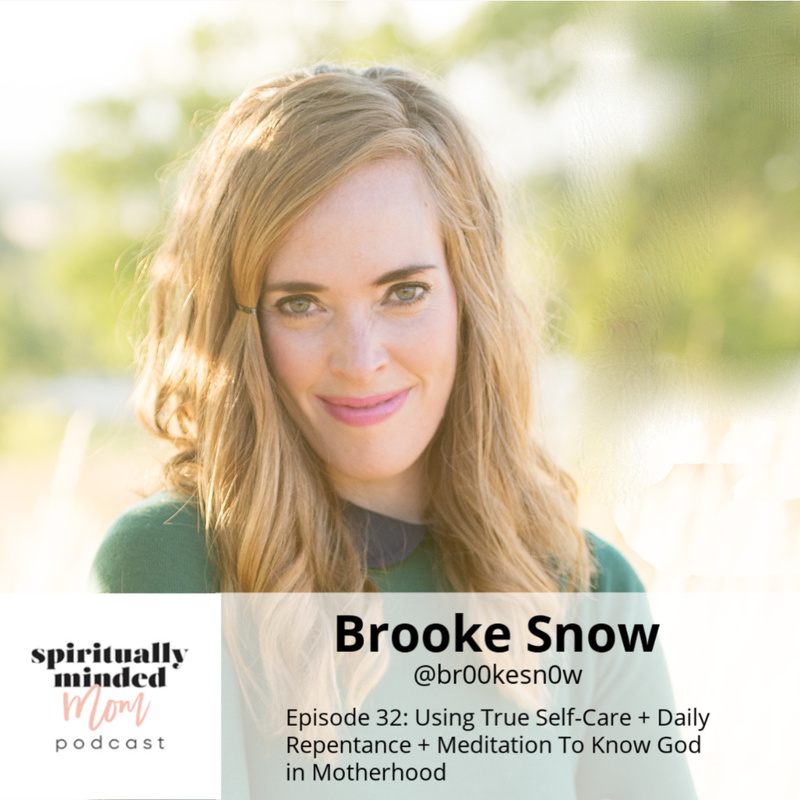 Listen to the entire interview with Brooke Snow in episode 32 HERE. If you’ve been listening for awhile, you may remember I did a challenge similar to this five-week podcast series last summer. To hear an episode about the challenge, listen to episode 12 HERE. Has motherhood been anything but natural for you? How do you mother multiple children who are all so different? Does God really speak to you as an individual? Why isn’t your spiritual journey the same as someone else’s? If these are questions you have asked yourself, you are not alone. 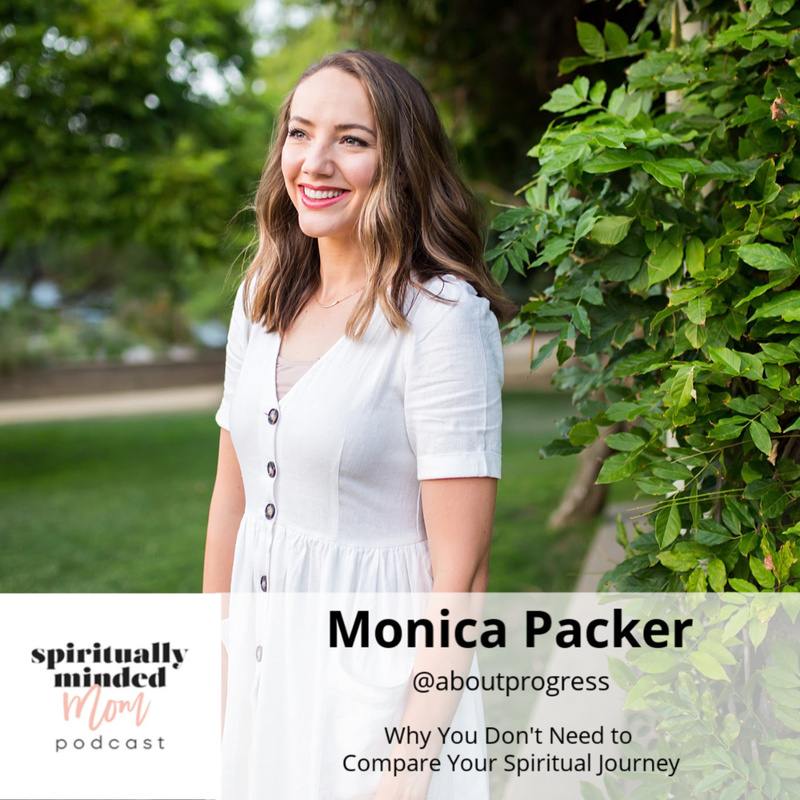 Today I am airing a replay of an interview I did with Monica Packer of the podcast and website About Progress. In this interview we dive in to how Monica has sought to answer all of these questions and more for herself. When I decided to replay an episode, I instantly knew it should be this one with Monica. I originally aired this interview as my 6th episode. I was still new and not only learning how to podcast but also what the purpose of my podcast should be. Talking to Monica opened my eyes to a new perspective about how God communicates. Before, I thought I knew because I knew how He communicated with me, but after interviewing Monica, I realized I only knew my way of communicating with deity. I started to understand there are many ways God speaks to us because we are all individuals. This interview led me to think deeply about how a relationship with God is not “one size fits all.” Talking to Monica helped me take a new approach. I didn’t need to give mothers a “formula” or “how to” on recognizing and developing a relationship with God. I only needed to encourage them to figure out for themselves how He communicates with them. The scripture Monica mentioned in the episodes is found in Doctrine and Covenants 121:1. 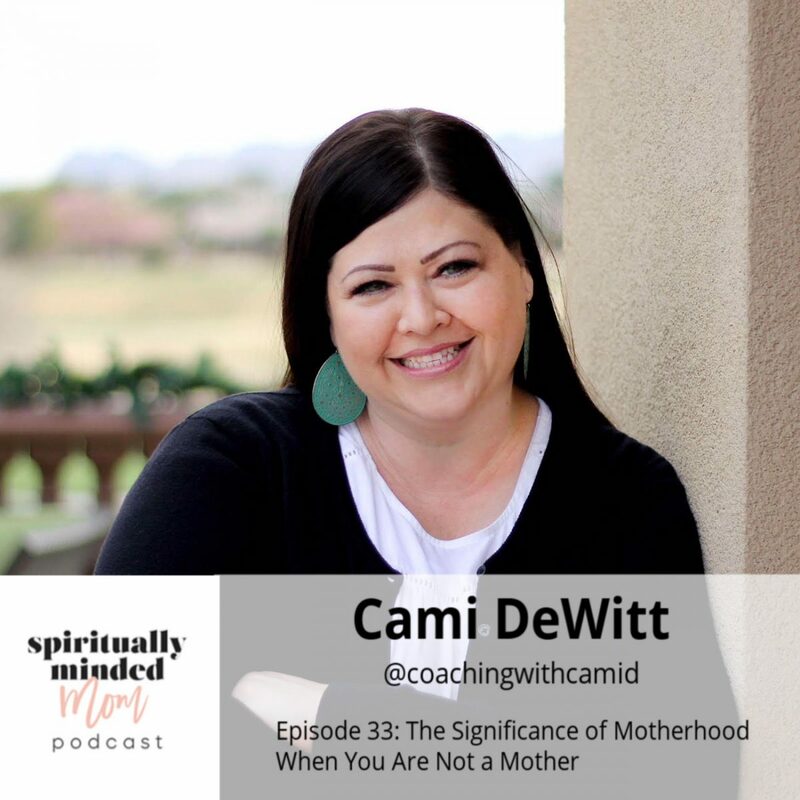 Cami DeWitt, my guest for episode 33, has an interesting and powerful perspective on motherhood because she is not a mother herself. Cami has never been married and has no children of her own, however you will relate to the things she shares. “Hi, I’m Cami and I am light, love and happiness. I bring value everywhere I go.” This is how Cami introduces herself. What is not to love about a person who believes these words?! When Cami was 16, she had her whole life planned out. Many of those goals and dreams haven’t happened the way Cami hoped, but she is real and vulnerable about the disappointments she has experienced. 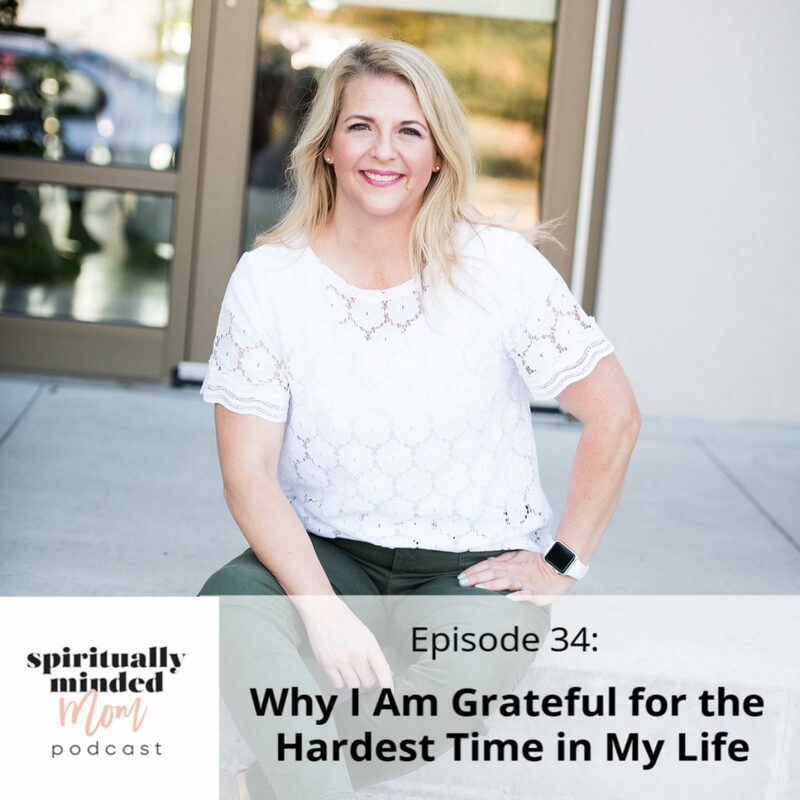 Cami shares how she changed her perspective and has found peace with the path her life has taken. She knows being a “mother” can come in many different forms. As a life coach, Cami specializes in helping parents. Cami relates the things she has learned from the mothers she’s coached. Cami’s approach in coaching is to help mothers learn who they are truly meant to be.